For centuries, Arabic literature employed traditional, unchanging, highly structured language and forms. Then in the 1960s and 1970s, writers rebelled to write in a variety of vernaculars. But today’s young Egyptian poets are inventing new ways of writing. Rejecting both traditional Arabic formalism and the vernacular rebellion — and contradictorily drawing on these traditions and others — they radically combine and recombine influences and bring new experiences into their poetry. They embrace experimentation. 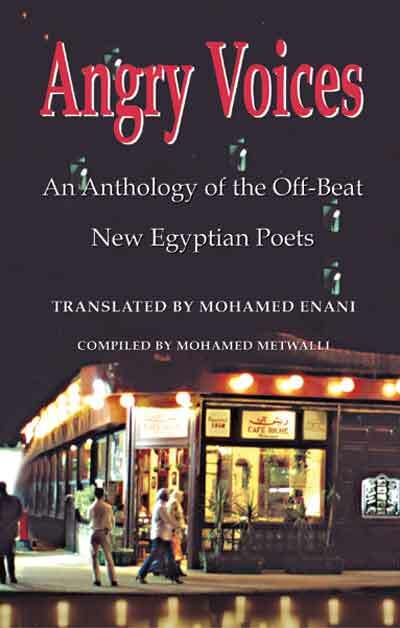 Initially rejected by the literary establishment, these poets founded their own magazines, one of which appropriated a derisive term that had been used to dismiss them: locusts.ow Mohamed Enanai, the editor of Sutour, an international literary magazine and the Egyptian Theater magazine, has joined forces with Mohamed Metwalli, the co-founder and co-editor of Locusts magazine to gather this writing in one place for the first time.